ooh another new fragrance found its way to my mailbox. Thank you for the PR sample. I had fun finding out more about it and wanna share all these impressions with you. enjoy! Tomas Maier, creative director of Bottega Veneta, presents the newest fragrance of the house, EAU SENSUELLE, a fresh and sensual version of the signature fragrance of Bottega Veneta. The evening sun leaves a vivid pink tone on the opened windows and causes an intimate and sensual atmosphere. A young lady, surrounded by the rosa colored light is tanning on the balcony in a leather chair. Her sun kissed skin is shimmering softly and the fresh air lets her cheeks blush. Below her there is a peach tree moving in the wind, his fruity aroma blends with the floral bouquet of jasmine and gardenia. This sensual scent mix fills the surrounding and the moment lets you forget time. 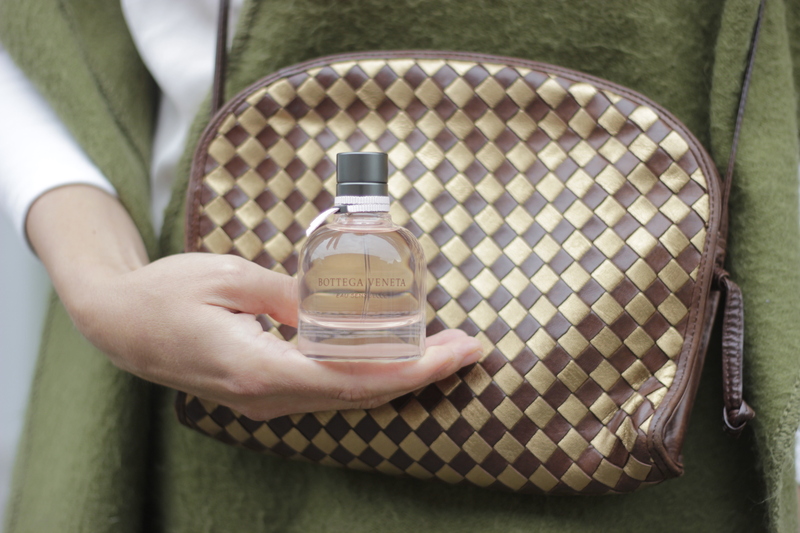 The signature Eau de Parfum was the beginning of a homage to the Bottega Veneta fashion label, which captures complete Italian moments. The distinctive leathery Chypre scent serves the legacy of the brand, which is deep in Vicenza, the region Venice in the north east of Italy. In addition to that very distinctive scent there is Tomas Maier’s vision of an elegant mansion being surrounded by sunlight and the scent of the woods and flowers. Five years later, the connection of art and nature with EAU SENSUELLE experience a prosecution. An advancement of the signature scent to a prominent, fruity- floral and leathery Chypre scent, which reminds of the softness and sensuality of the renowned Bottega Veneta leather goods. As a reinterpretation of the signature scent, it stands for an unexpected and soft side of feminity. A fresh peach scent as well as a luxurious suede leather accord give the intensive leathery floral Chypre scent a unique and cheerful turn. Eau Sensuelle continues the collaboration with creative director Tomas Maier and the master perfumers Michel Almairac and Mylene Alran. The fruity floral and leathery Chypre scent opens with an elegant floral accord of gardenia and Indian jasmine mixed with soft peaches. 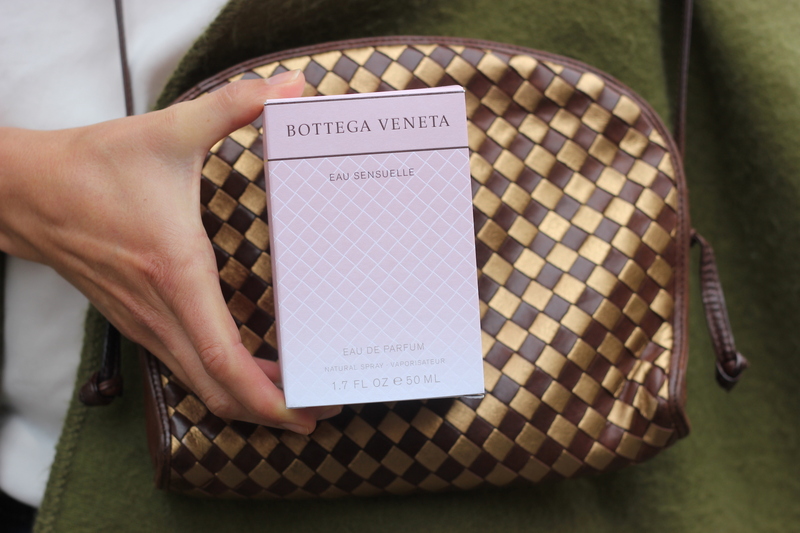 The characteristic leather scent of the Bottega Veneta perfume is combined with vanilla and Indonesian patchouli, giving it a very distinct base. The packaging of Eau Sensuelle mirrors the principle of the exceptional hand craft and the timeless design of Bottega Veneta. The flacon and its packaging stand for elegant aesthetics of the fashion label and remind of the characteristic hand made leather netting Intrecciato design. Instead of the known leather strap there is a discreet pink ribbed band. 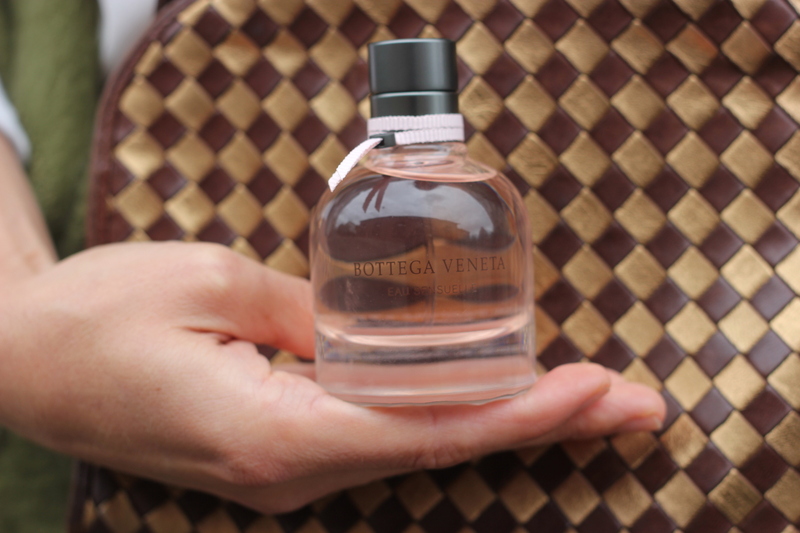 following sizes are available, the prices are the recommended prices by Bottega Veneta. The release will happen in September 2016. Check your local perfume shop and see if this new fragrance could be something for you.